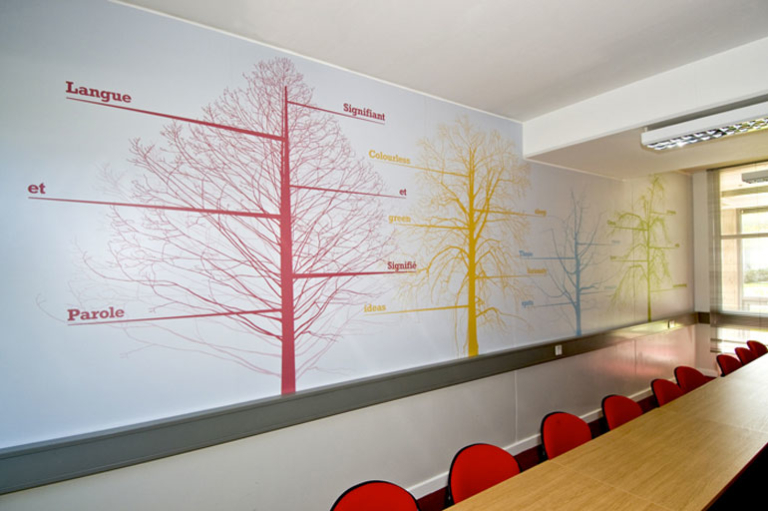 Improving the rooms in this 70s teaching block helped uplift both the students and teachers, the similar feeling rooms now clearly differentiated by their individual graphics. 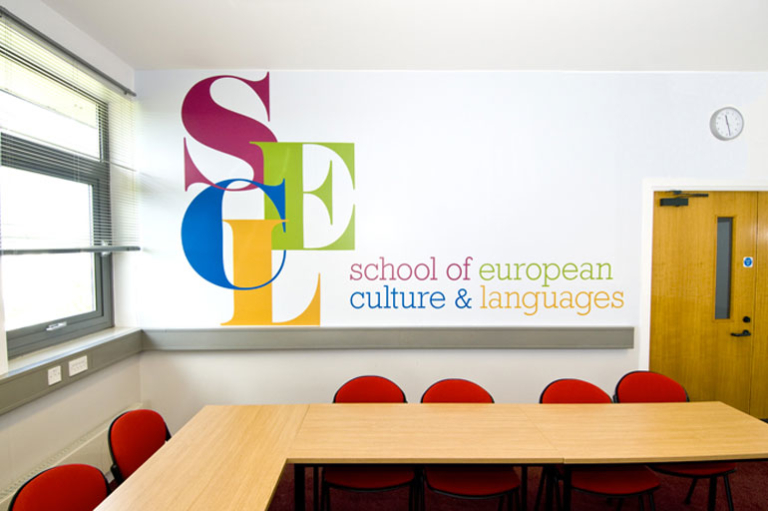 Nebulo was happy to be chosen by the University of Kent Canterbury to develop designs for ten lecture room walls in the European Culture and Languages block. 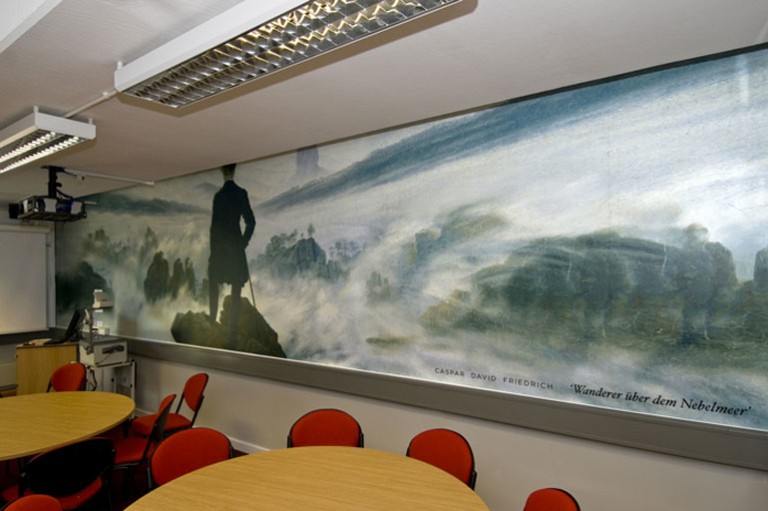 The designs were developed to be wallpapered onto an 8 metre wall in each room using a self adhesive waterproof substrate. 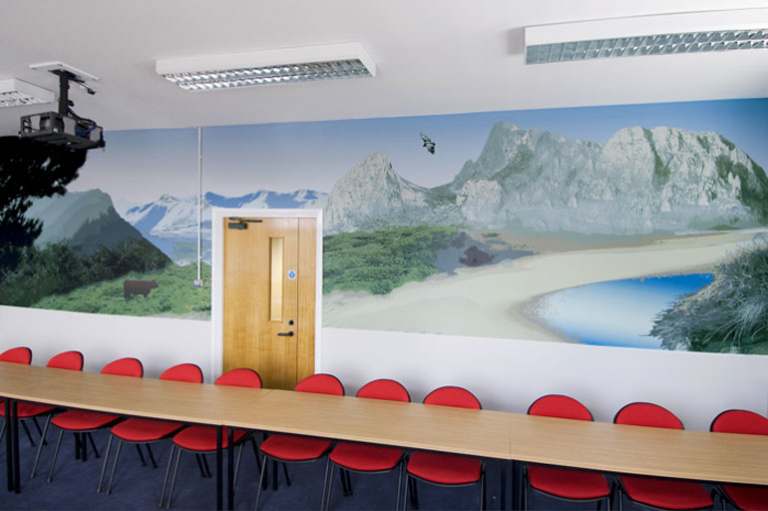 The subject matter for each room design was negotiated in meetings with the individual teaching staff responsible for the respective subjects, decisions made on available imagery and illustration work that would fit the budget. 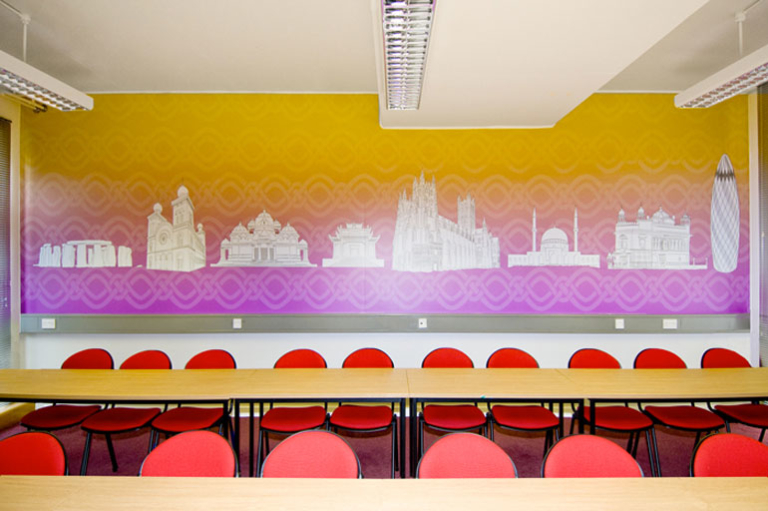 The results were proofed with each person and aments re-proofed before printing and installation began. 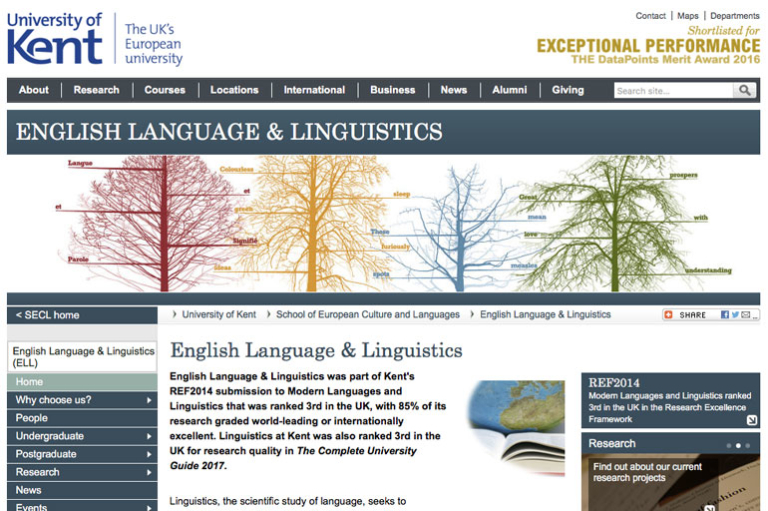 The work was created from a mixture of high resolution scans and bespoke digital illustration. 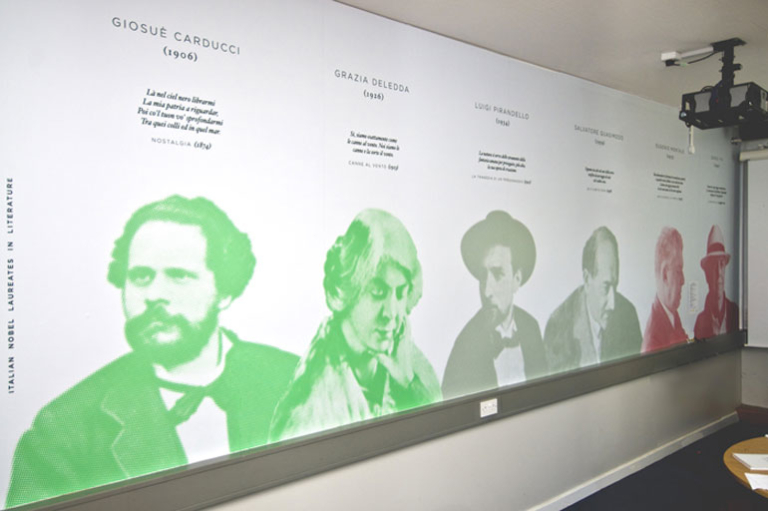 All were suitably adjusted for the large format printing process, the work installed by a carefully chosen print company expert in applying the printed drops on the various walls. 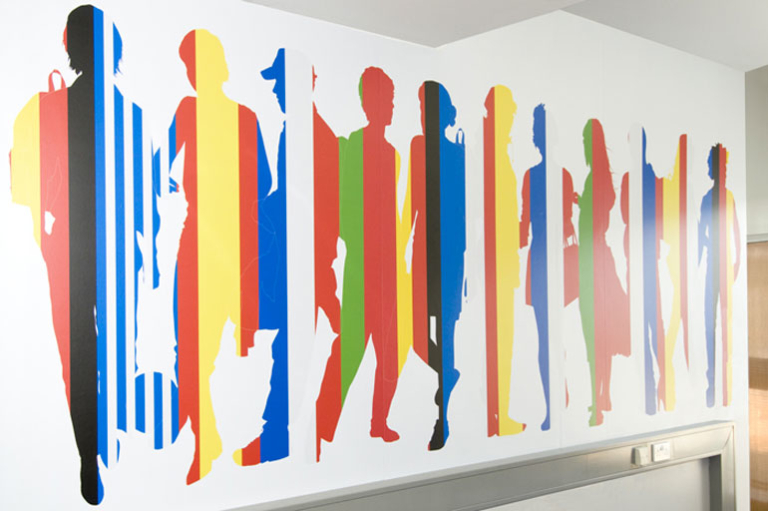 Our measurement work for the graphics needed to accurately include and show ceiling beams, electrical trunking and shadow gaps and doorways.